I completely fell in love with this place! Each cottage is nestled right on the water with a balcony facing the most beautiful sunsets I've ever witnessed. The price of our cottage was a reasonable $215 a night, with an additional cost per person for unlimited use of your own private boat (! ), paddle boards, kayaks, 3 meals a day (including a picnic lunch you can take out to an island or sandbar). Once we were there we basically paid for absolutely nothing, except some alcoholic drinks because, well, it's the islands and I wanted a rum daiquiri. The people at the marina are so incredibly friendly. We felt like family! A dinner bell rings at 7pm and everyone staying at the cottages eats dinner together at the same time. There's a constant flow of cheery yachters who dock at the marina for a drinks/dinner/boat refuel. The island also has villas to rent but they start at around $450 per night with a minimum and there's not much food on the island at all so I imagine you would just end up eating at the Yacht Club anyway. There are a few ways to get to the island by plane. You can charter a plane from Miami/Ft. Lauderdale area or Nassau into Staniel Cay. You can book a seat on Watermakers Air from Ft Lauderdale directly into Staniel Cay. This option sounds like the best because it's most direct but it can be pricier. If you tell them you are staying at the Yacht Club apparently you get a discount. We flew with Flamingo Air from Nassau and this is the more economical option with prices around $80 each way but you have to be flexible. On our way back to Nassau the pilot decided to stop at two other islands to pick up someone and take them to work. Everything runs on island time. Apparently going to the Bahamas in January is iffy. Who knew? The same cold fronts that sweep the US make their way out to the islands, stir up the crystal water and ground tiny aircrafts. We learned this the hard way by getting stuck in the Nor'Easter which turned into a winter hurricane in the islands. The seasoned sailors around the marina told us April through July are the best times to visit. The winter winds die down and weather is more predictable. You go for water that is so clear you can see starfish 30 feet down so if the winds are too harsh this ruins that. We only had one good day on the boat, sadly. A huge sense of freedom kicks in when you realize you have your own little boat at your disposal. We were able to plan our own day out on the boat to go to sandbars and remote islands for shelling and picnics. The one downside is you have to learn how to drive and steer a boat yourself, which honestly is also an upside, depending how you look at it. Thunderball grotto. We didn't do this because the water wasn't calm enough but usually it's like snorkeling through an aquarium. Sandbar hop. This is my all-time favorite activity. The Yacht Club gives you a map that tells you where the best sandbars are during low-tide. We loved Sandy Cay which was about 7 minute boat ride of the marina. Paddleboard over nurse sharks. The water is so clear that you can stand on a paddleboard and watch creatures swim underneath you. Picnic on a remote island. We parked our boat at Sampson Cay and sat under a tree nibbling on sandwiches that the Yacht Club packed for us. It's remote. It's gorgeous. It's heaven. 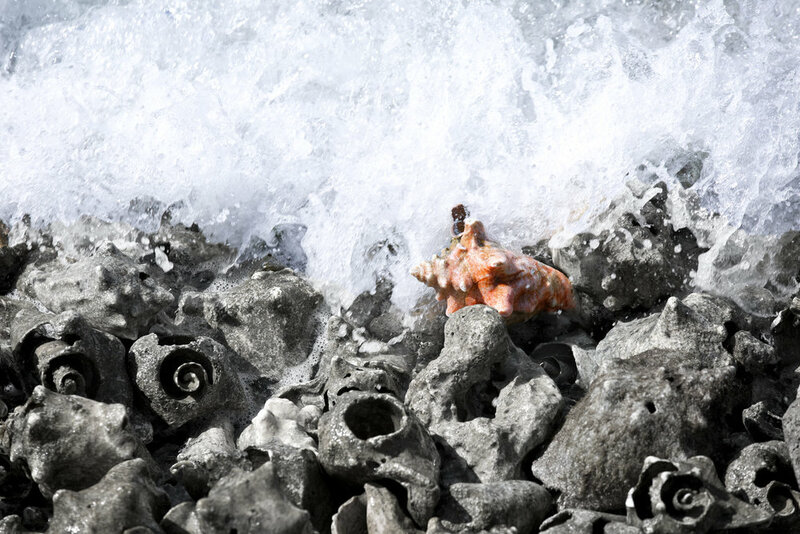 You can snorkel everywhere and conch shells are plentiful. It's a shell collectors dream.